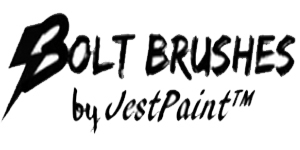 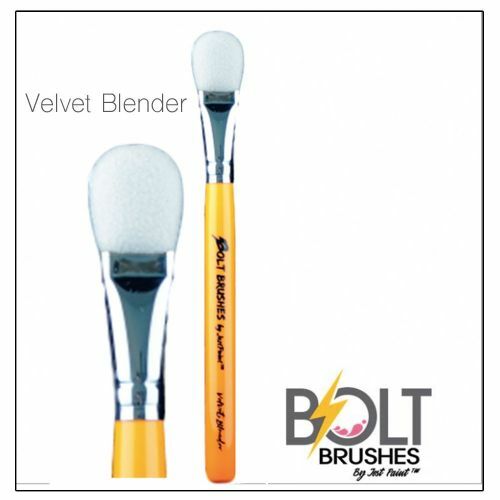 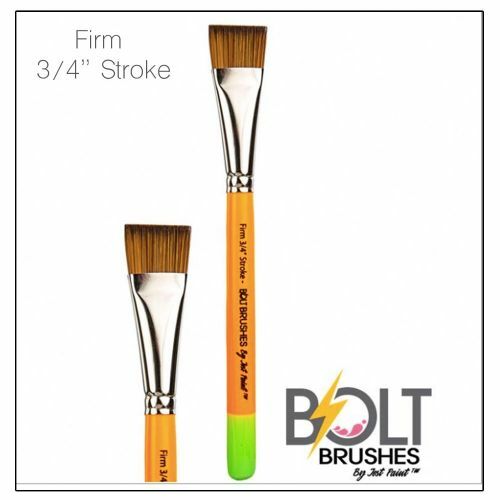 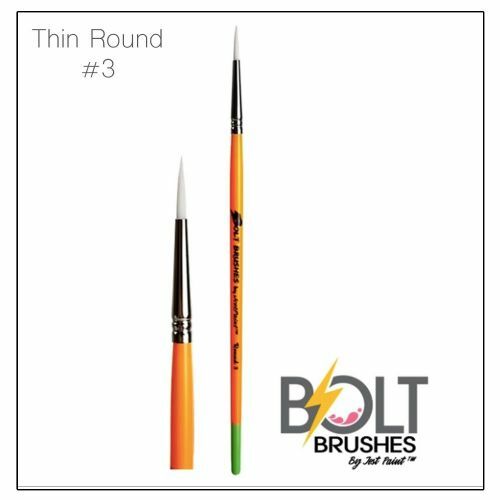 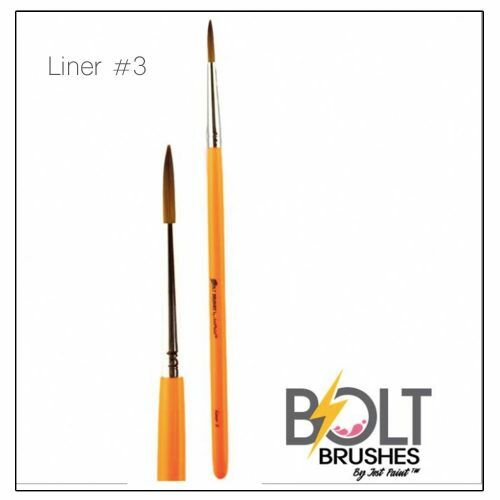 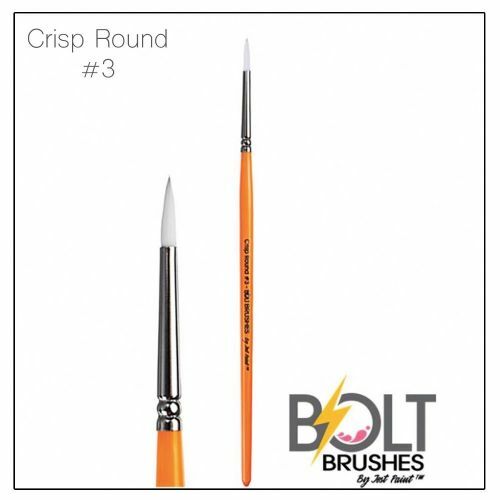 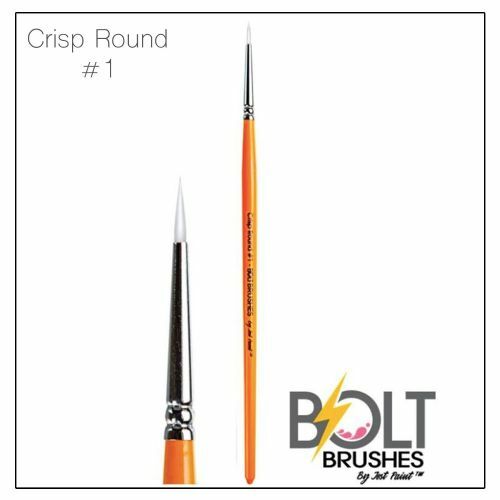 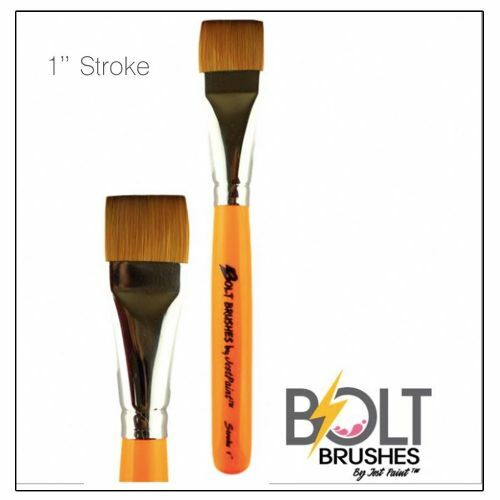 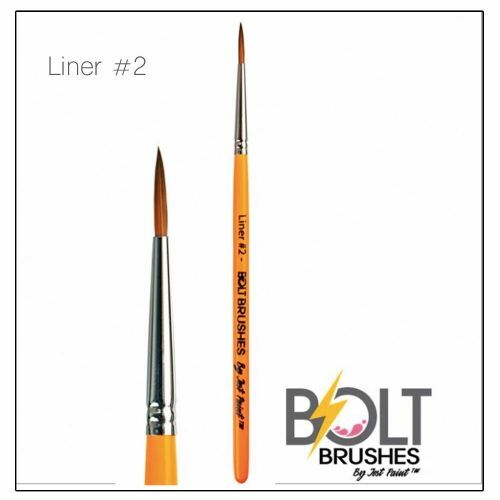 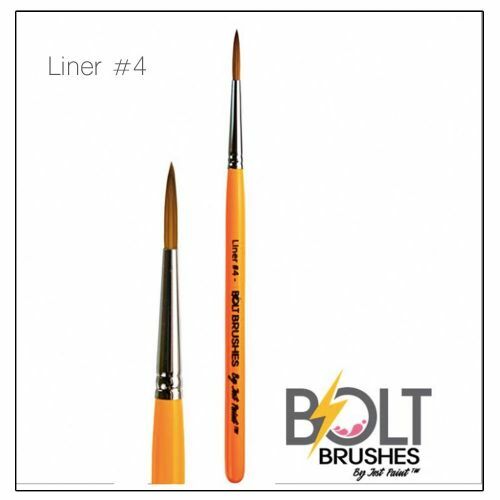 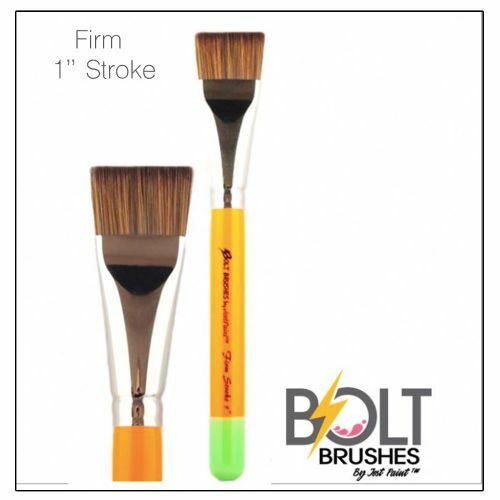 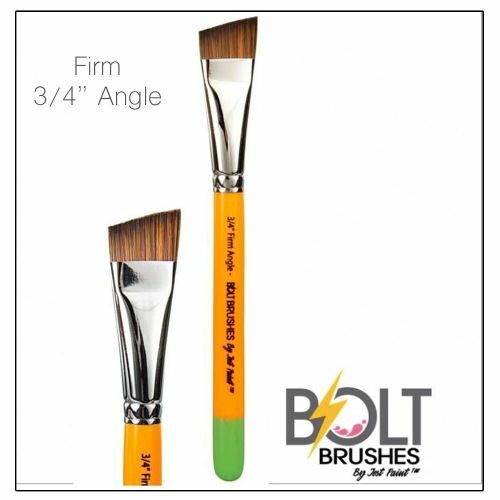 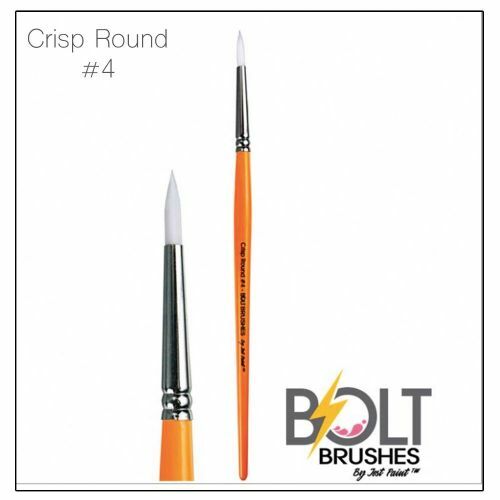 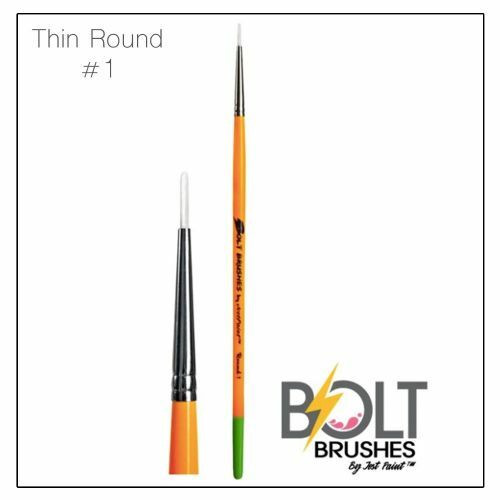 The Bolt Stroke brushes have short bristles, making it an easy to control flat brush. 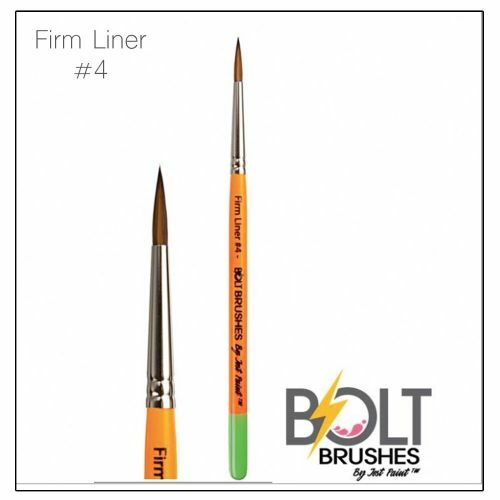 The Liner (round) brushes have sharp tips and longer bristles allows for a nice flow when making swirls and twirls and teardrops. 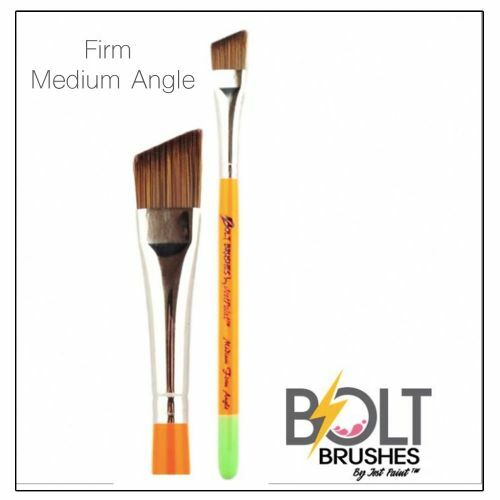 They have a semi-medium bounce (not too stiff not too soft). 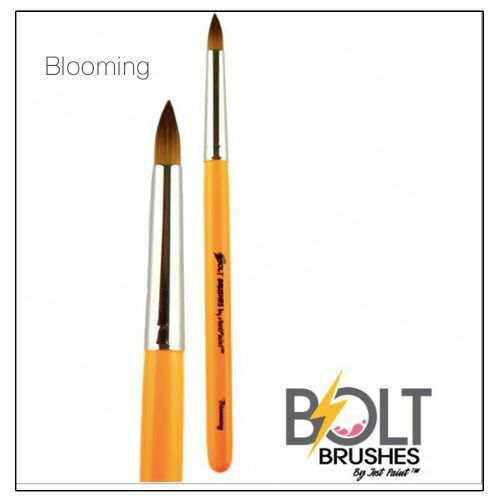 The Blooming brushes allow you to make perfect petals every time. 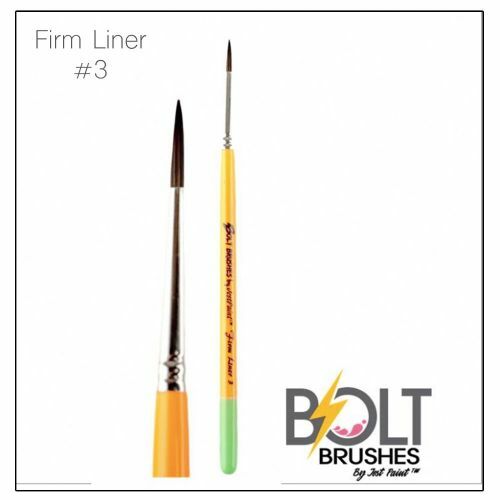 There is also a FIRM line available for those of you who like stiffer bristles. 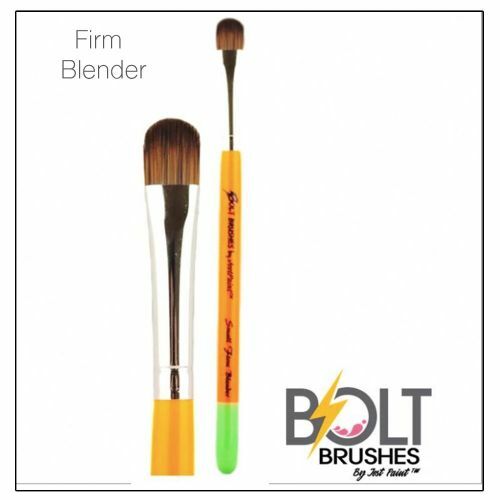 All of the brushes have synthetic bristles (no animals were harmed to make the brushes), and short shiny painted wooden handles. 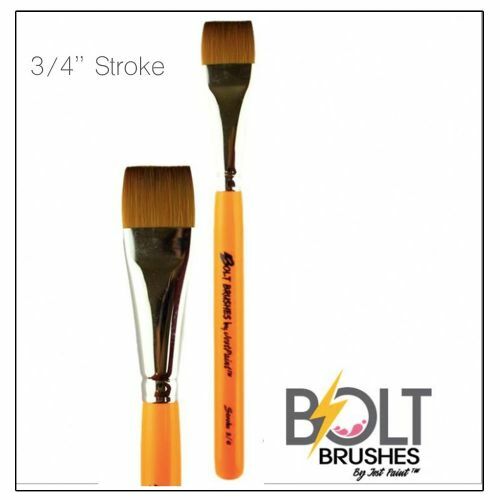 All wood comes from managed national wood reforestation programs, and our manufacturer is involved with non profit organizations that fight to protect endangered species, as well as organizations that provide free school materials to kids in need. 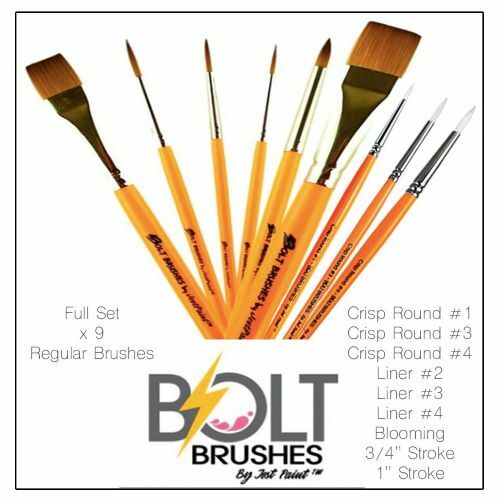 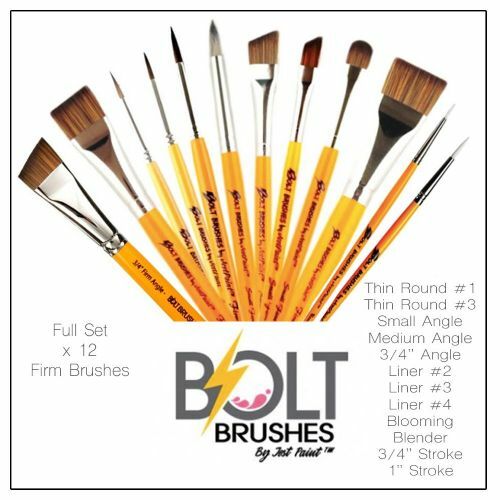 Bolt Brushes are assembled in the USA using components from Thailand, and the handles are painted with non-toxic UV reactive paint, so that you can easily find your brushes while working at Black Light parties! 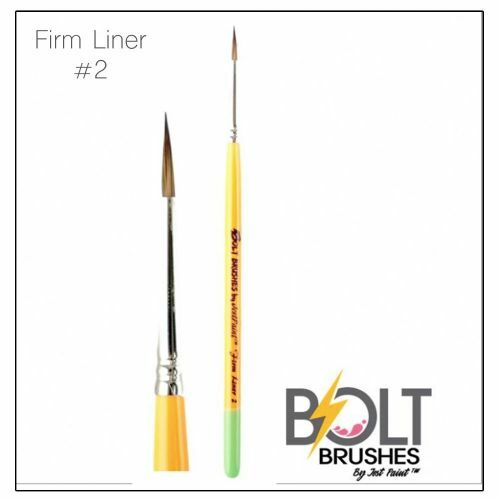 Please take note: Brushes are handmade and all measurements are approximate, the actual width may vary a little, but you, as the face painting artist are in control of the width of your strokes by the amount of pressure you put on the bristles while painting. 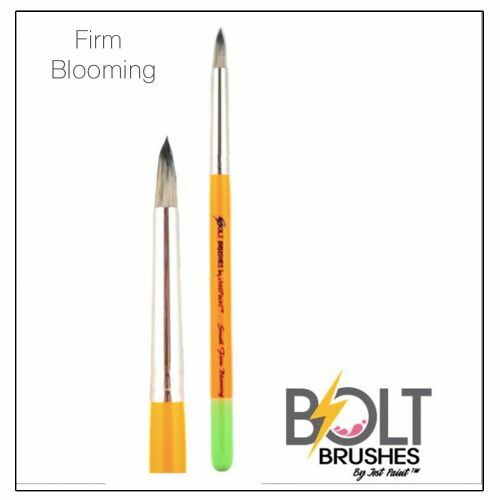 Enjoy and happy painting! 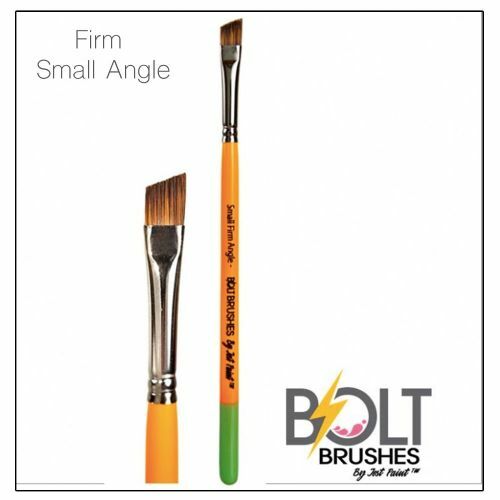 Simply Add to Basket or Click on Image for a more detailed look and advice on how to use.